Are you a little bit bored with your blog? Do you wish you had the capability to make it look more professional and add a personal touch? To kick start November, I have something I think a lot of you will like! 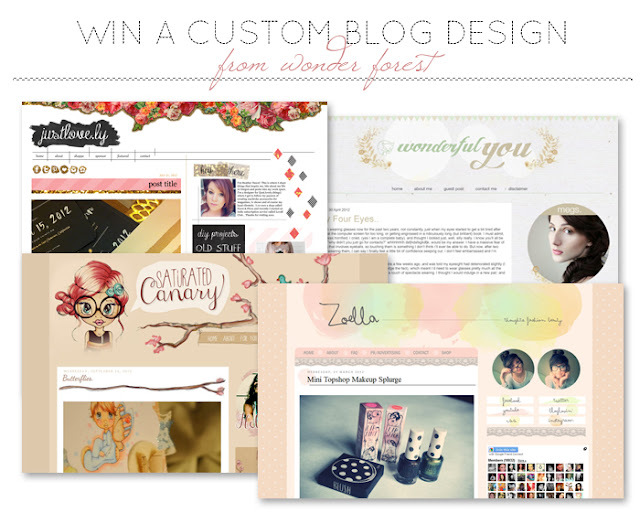 My friend Dana who runs the ever so fabulous blog "Wonder Forest", and who is also responsible for my amazing blog design, is giving one of you the chance to win a complete blog re-design/make-over to the cost of $300. If you're anything like me, and find designing things exceptionally hard, along with HTML, then this is perfect for you. I will announce the winner of the giveaway in exactly one weeks time here on my blog.